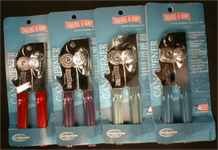 Swingaway has been around for a long time and is one of the most trusted names in manual can openers. Heavy duty construction with a patented gear driven cutting wheel and easy to clean design. Each unit comes with a 5-year manufacturer's warranty.